The after-working-out soup, but not only! It snows a little everywhere; it’s time to go sledging, skiing, hiking in the snow, snowshoeing, or why not enjoying winter sports on holidays if you are lucky or if like me you chose to live not far from the slopes. In short, winter sports or winter activities are a real pleasure. As Winter is my favorite season, every morning I am like a kid on Christmas day: hysterical. 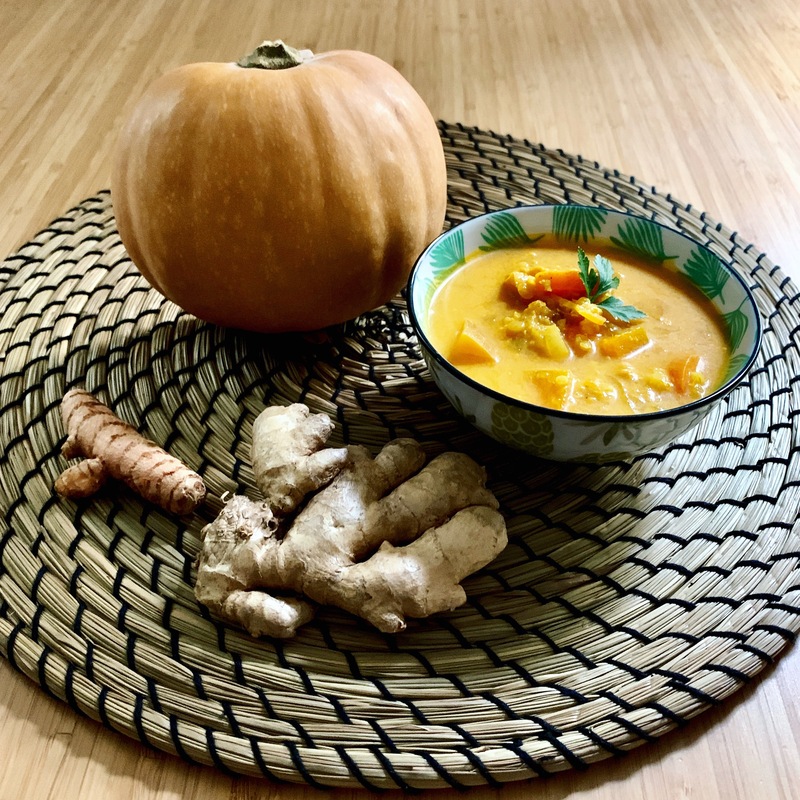 Sorry for you if Winter is not your cup of tea, at least there’s a season for everyone, and I remind you that you had some lovely recipes this summer here on the blog. Yes, you had. Whatever your activities are winter-sport or usual working out, it involves to not forget to eat vitamins, certainly, but also proteins and micro-nutrients. The classic vegetable soup, when you spend your day sitting at your office or gardening is ok, maybe, but when you swim 3 miles backstroke, or rope skipping and bag working for two hours, the vegetable soup makes you smile: “After the drink, what are we eating?” tells your stomach, and that’s normal. We must adapt our food to our caloric expenditure. And in winter, we are hungry! And if you’re not athletic, the “glitter-thong season” is indeed still far away off but that’s not a reason to give up our good habits, especially if you do not want to have to eat cucumber salad during 3 months prior to your arrival on the beach. Do we understand each other? I think so. Besides, when you read the ingredients and especially the spices I chose, if you remember my article on the anti-inflammatory diet, you will understand the subliminal message for your Valentine’s Day dinner. After all, it’s coming soon. Ginger … Do we understand each other? I think so too. And here comes my “magic winter soup.” Do not panic dear ogre, I have a good one for you, not a joke, but a filling soup that is good for the body and will warm your soul. You will be satisfied, and happy because if you calculate the macros, you will notice that this soup is more than reasonable. With that soup, believe me, you will run so fast that even your shadow will not be able to follow you. 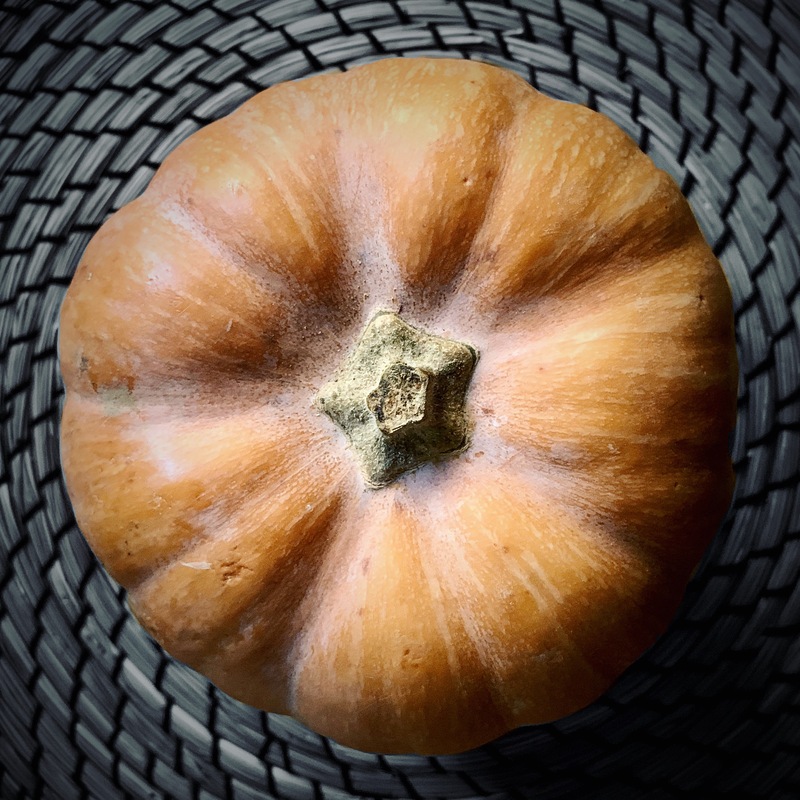 It is a cross between a pumpkin and a butternut squash. You did not understand the pun? butternut + pumpkin = butterkin. Now you have it? I promise it’s not me who found its name. I know, as I am the queen of badass pun it’s unbelievable. Rich in potassium, phosphorus, and calcium, it is also a source of vitamin B6 and vitamin C. Source of fiber, we finally note the presence of iron and manganese. No, quinoa is not really a cereal, it is an annual herbaceous plant species of the Amaranthaceae’s family. It is above all rich in protein and one of the plant foods that contain the nine essential amino acids. Without gluten, it is also rich in fiber, magnesium, B vitamins, iron, potassium, calcium, phosphorus, vitamin E and various beneficial antioxidants. First of all: Soak the coral lentils for at least 4 hours in a large bowl of water. Place the quinoa in a strainer and rinse it thoroughly with clear water (the conventional colander has too big holes for the lil’ quinoa seeds). You do not have a strainer or a sieve? Arrange a cheesecloth or a clean kitchen towel in the bottom of your colander to prevent the quinoa from getting through it. In a saucepan, cook the coral lentils for 4 minutes in boiling water. Drain and set aside. Also, cook the quinoa for 10 minutes in boiling water with 2 cardamoms crushed with the flat of the knife on a cutting board. Drain and set aside. Finely chop the onion, cut the carrots in half lengthwise then slices them (to obtain half circles) and cut the piece of butterkin into small cubes (it’s a geometric day!). Do not peel anything if it is organic (except the onion, of course, try to follow, my young Padawan). In a dutch oven or in your grandmother’s cooking pot, pour olive oil, onion and brown it for 5 minutes over high heat. Add the carrots, continue cooking over medium-high heat for 5 minutes. Then add the pieces of butterkin, cook them for 5 minutes again. Then add the coconut water and all the spices namely: the remaining 2 cardamom (previously crushed with the flat of a knife), the ginger powder (or the fresh ginger chopped with a garlic press), tomato concentrate, cumin, coriander, turmeric powder (or the fresh one chopped with a garlic press), yellow curry paste, and mix well. Wait for the resumption of boiling, then add the water, still on medium-high heat. Once the mixture boils again, add the quinoa and coral lentils, wait 2 or 3 minutes and turn off the heat. Taste without burning yourself, add the salt and pepper and correct the dosage of spices if needed. Find the 2 cardamoms and remove them from the soup (or put a wanted poster in your kitchen, it will help). In your cutest bowl or soup plate, arrange your soup with the grace of a Queen, or Freddie Mercury’s. (I know you are tired of me, but imagine the ordeal that my family and friends have to live, well, the show must go on). Prepare next to it a bowl of lamb’s lettuce (corn salad), add walnuts, sprouted seeds, walnut oil, and balsamic vinegar. You can also add sprouted seeds on your soup, for the touch of color, and it’s delicious with the spice mixture. And now you’re satisfied, warmed and smiling like a good buddha who was told a joke. “I swallowed a dictionary, it gave me thesaurus throat I’ve ever had”. Ok, you probably know it already but it’s cute, don’t be disappointed! Have a nice weekend, and see you on Friday, my friend. 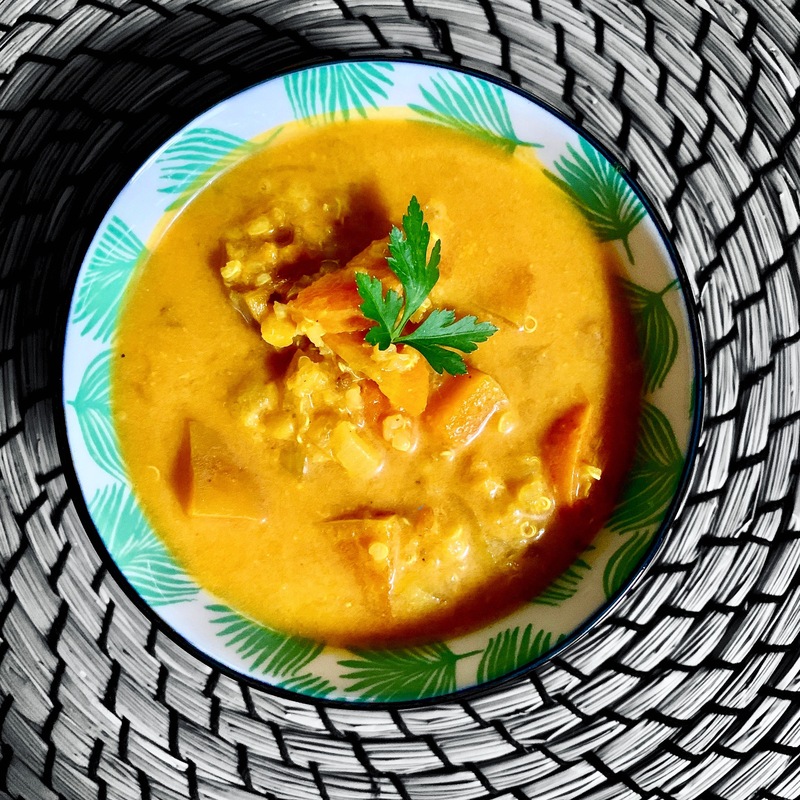 In the tumult of winter life, a beautiful spicy soup will make you see life in color! Next Post To change your sick status, smell eucalyptus!